With nearly 40 years of drum building experience, TAMA knows what drummers really want. Which is why TAMA has the set you need, want, and can afford no matter how long you've been playing drums or what budget you have to work with. 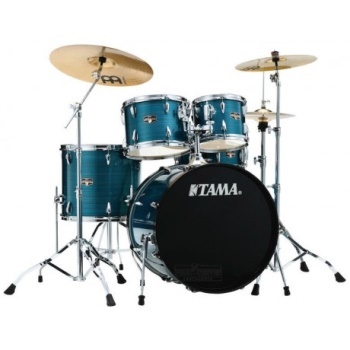 TAMA launched the most affordable kit to ever incorporate so many high-end features - Imperialstar.